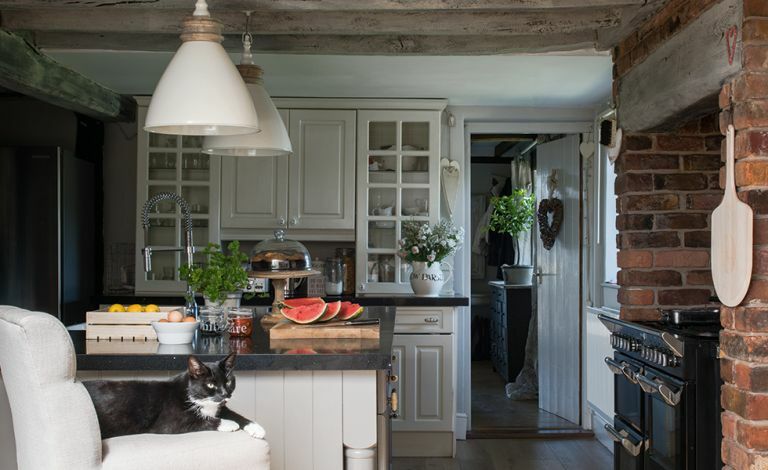 Stunning from the outside, this 16th-century timber framed country home was in need of renovation when Kerrie Griffin-Rogers and her daughters moved in. The whole house seemed to be facing the wrong way, with the front door, strangely, positioned at the side of the house. The utility room was bigger than the kitchen, and the kitchen was dark and dated with a serving hatch into the dining room. So the layout was reworked, the kitchen repositioned centrally at the heart of the house, the stairs were relocated, and a partition wall was knocked down to make the kitchen open plan to a light and spacious garden room.